Funds alone cannot sustain The Bethesda Foundation; we are driven by a wonderful group of generous volunteers that have been a critical part of our success. You too can lend a hand and leave a legacy in our ongoing efforts. To get involved, contact us at 1.204.326.1054. Please consider Bethesda Foundation in your charitable giving. Help us enhance health services and infrastructure in our community. Tax receipts will be issued for donations of $20 or more. Please use our secure online donation system. If you prefer to donate by phone, call 1.204.326.1054. Please have your credit card information ready. A gift in memory of a loved one. This can be in lieu of flowers at a memorial service or otherwise. A gift designated to the Bethesda Foundation in your will. Some individuals designate a percentage of their assets to be given to a designated charity; others will name the charity as one of several individuals or organizations to receive equal shares of the estate. A gift in kind, such as a property. A gift of life insurance proceeds. A life insurance policy may be purchased designating a charitable organization such as the Foundation as a beneficiary. The proceeds of the policy will be paid to the charitable organization upon on the death of the policyholder. A gift of stock, bonds or other securities. An RRSP / RIF may be taxable income to your estate. Why not consider an offsetting charitable donation. If you have any questions about any of these, or would like assistance, please contact us at 1.204.326.1054. 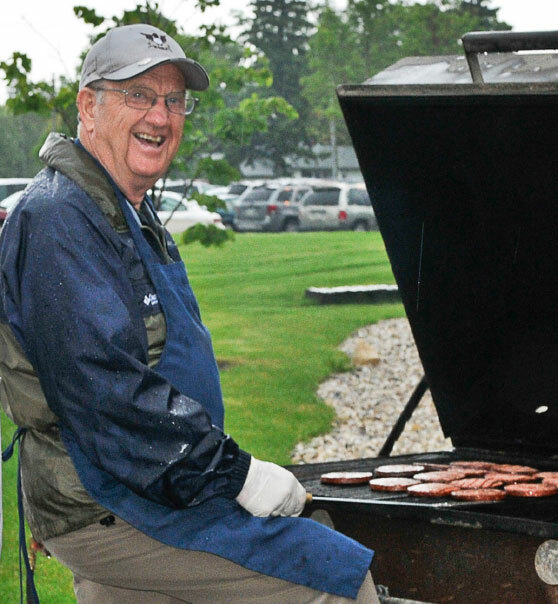 "Some of the best times I had with the Foundation were serving sausage burgers to the kids at the SRSS, who were part of the Dragon Boat races, and hosting appreciation luncheons and barbecues for the hospital staff." Honorary Chair of the Bethesda Foundation"
"Reflecting on the past and remembering the efforts of pioneers, not only in creating the roadmap, but also building the road, goes a long way in setting an example for future generations."